Are you looking for the best wordpress theme for SEO out of the box? Since you're looking for a (SEO) search engine optimized wordpress theme I'd thought I'd give a rave review of what I think is not only the best wordpress theme ever designed, but one that is SEO friendly and highly customizable. I'm talking about the Thesis theme developed by Chris Pearson of Pearsonified. Not only is Thesis well developed it is very robust giving bloggers many options for customization. And yeah, it's the best wordpress theme I've seen where someone took the time to work in things that are important to SEO. And I'm talking mostly about page structure here… mainly the use of H tags. If you're like me you've spent hundreds of dollars on wordpress themes over the years only to have to go into the code to fix the H tag structure used. Which is a pain when you have to upgrade wordpress and the theme frequently. I can't count how many wordpress themes I've come across where the H tag structure is totally screwed up. Meaning, H1, H2, H3 and even H4 tags are used for things like the titles in the sidebar. H tags are really important to SEO, so each page of your site should only have one H1 tag, and subsequent H tags directly in your post content. You shouldn't have H2 and H3 tags wrapped around things that aren't related to your post… ie. Blogroll, Recent Posts, Pages, Calendar, etc. If you want to see what I'm talking about you need to be using the Web Developer toolbar to disable the CSS of your site… or try it on this one to see what I'm talking about. The post title should be an H1 tag and any subheadings in H2… and H3. Thesis takes care of this for you and does a perfect job at it. Right out of the box Thesis includes only a single H1 tag on each page, including the homepage. Post titles on your homepage are in H2 which is correct. On sub pages the Post title is H1… not the title of your blog (if you're using text instead of a graphic) and any subheadings you use in your post are the only ones that appear on the page. Perfect! Again Thesis gives you some options on the way to display Title tags in your pages. Which is very helpful. 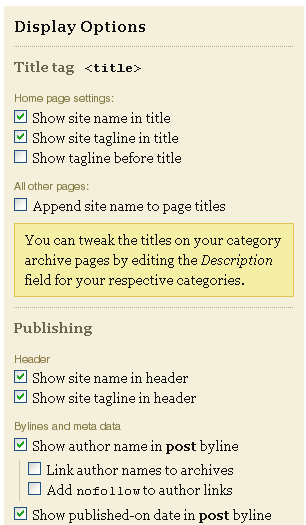 In your wordpress dashboard navigate to Design > Thesis Options to set the following options. Because I'm super picky about my title tags here (for obvious SEO reasons) I've decided to add my own custom bit of code to display page titles. If you look at the titles of my pages you'll notice they're only the post title or page title, nothing else. That's because I want my titles to be super targeted. Including “Jeff Hendrickson Design” to the ends of my page titles only waters down the keyphrases I'm targeting. So I leave it out. Thesis allows you to easily add and edit Meta Description tags within each post or page by simply adding your description to a custom field. All you have to do is add a custom field called “meta” to your post or page and insert your desired text. This means you don't need any extra SEO plugins to achieve custom Meta descriptions for your blog. Also to make your category page titles more SEO friendly and unique you can change the titles of your category pages by simply adding a custom field “meta” to your categories. This gives your category pages a more SEO friendly title then they would have otherwise. The page's content structure is very nice indeed in Thesis. Your post title (H1 tag) and post content are high up on the page meaning your content is closer to the top of the page in the source code. This means your page's main content is the first thing Google or any search engine sees. They don't have to wade through countless links and basically all the stuff in your sidebars because your sidebar content appears after your main content in the source code. You should see this if you view my site using the Web Developer toolbar and disable CSS. If you're a blogger using wordpress and you care about traffic and search engine rankings I suggest you pick up Thesis and try it out for yourself. I only touched on the SEO aspects of Thesis but there are a ton of other great features that make it the theme I will be using here and on clients sites for some time to come. It comes with lifetime updates as well and I've already seen some really sweet new features being added in the last update. I am looking forward to what comes next. My hats off to Chris and the team that developed and are continuing development of Thesis. I appreciate it. If you're in the market for the best ever SEO wordpress theme then go get a copy of Thesis. It's currently $87 for a single license. 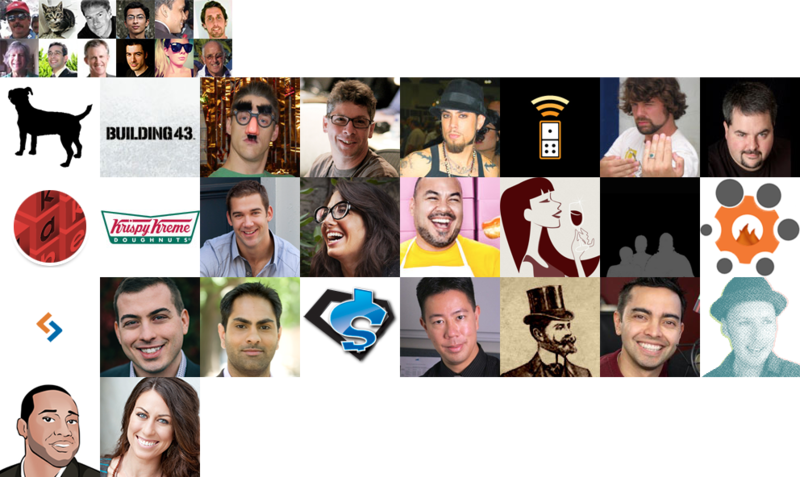 A drop in the bucket if you're monetizing your site through search engine optimization efforts. As you can see Chris added new features that allow you to edit and customize your navigation menu easily from within the wordpress admin. Pretty powerful. In the below video Chris goes more in depth on setting up a site and doing customizations. I've been using Thesis for well over a year on this site and can say without a doubt that it's the best SEO theme ever produced and probably the best supported and most updated theme out there. Even when I'm tempted to change the theme just for something different I don't because I don't want to have to go through all the customization and upgrade headaches other themes make you go through. With Thesis it's a lot more simple. Grab a copy of Thesis and see for yourself. Thesis has released a totally new version titled Thesis 2 with a lot of new features. You'll have to visit their site to see all what's new. They've done a lot to upgrade it. Check it out! Great post, Jeff. I’ve been very happy with Thesis, and I’ve seen positive results with my SERPs, but I didn’t know much about exactly what Thesis was doing under the covers to achieve this. I learned a thing or two from your post, which I really appreciate. Thanks. Nice job – thank you for taking the time to explain the SEO aspects of Thesis. This was exactly what I wanted to see. You’re right to say that the Thesis SEO is good by default. I haven’t tweaked anything and I have seen a significant increase in visits since I switched. This theme is absolutely worth the money I spent on it. Since using it a couple of months ago my traffic has nearly tripled. My site moved up a lot on a lot of keywords im targeting for seo. Anyway thanx now I at least know what’s behind the rankings increase. I didn’t think of that before. Keeping the title of each page specific is important. Wow… This is a great review. I’m thinking of buying this theme… I spent my last 2 days searching for a good theme for WordPress but I liked only 2 I found on the internet, but my readers said that they are not that good, so I kept searching and I got here… Really awsome SEO theme for WP… This could be a “must have” for someone who makes money online, it should really increase the ranking of the site if used with a little attention. Thanks. Thesis is great for SEO, or atleast a lot better than any of the other themes I’ve looked at. Of course Thesis doesn’t do all the work. You still have to do off-page SEO to rank. Thesis theme is great for beginners as it has many options to choose from and customize your blog. Although if you still want to do some crazy customization to the design of your blog you still need to know css and even how to use hooks. Hopefully I’ll be releasing some easy thesis skins soon that will make it easier for beginners and newbies to have a great looking blog that is SEO friendly. Thesis is absolutely worth $84 if you care about SEO. I paid $164 for the developer version and it was still worth that. If you’re a beginner lots of things will be hard, but you’ll learn. Good luck! I have heard great things about Thesis and have been thinking about getting it for a while now. I am a relatively new blogger and someday I will upgrade from my free wordpress theme to a premium. From your post I think I am sold on Thesis. When will a new version of this come out? Thesis 1.6 has just been released with some cool new features. Yeah, I used free themes when I first started blogging in 2005 but with that came a lot of headaches updating the themes when wordpress would update, trying to get support if something went wrong and the overall hassle of customizing the themes to be more seo friendly so when I heard about Thesis I quickly moved on up to paid themes and I haven’t looked back. Of course Thesis isn’t 100% perfect but Chris updates it a lot with new features and listens to the community and it’s gotten increasingly better since I started using it. I imagine I’ll continue using it for a long time to come. Thanks for the great write up on Thesis. I’m a Thesis fan for it’s flexibility in customization and it’s SEO prowess but I wonder if you have had any luck in adding the all in one Seo plugin in addition to the SEO already built in to Thesis? I have a real estate site for Evergreen, CO and even though it’s a relativrly small market, every agent and his sister has a real estate website and I haven’t broken the top 100 (yes one hundred) with my thesis themes site and I wonder if I added an additional plugin if it might help me compete in Evergreen. Thoughts? Hi Bob, no theme or plugin alone can help you rank without good backlinks, an older domain and plenty of content. And from what I see you’re really overusing (read keyword stuffing) your keywords throughout your sites. I’d tone that down a bit. Oh and I have never used the All-In-One plugin for any site, let alone this one. 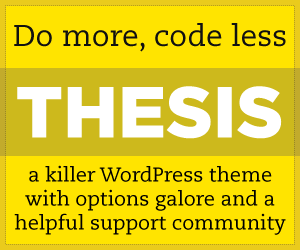 Thesis is really all you need when it comes to wordpress seo themes. But SEO isn’t just about on-page optimization. You still have to do all the off-page stuff as well. Thanks for the tips. I’ve been publishing an rss feed of new evergreen listings so every day I have my keywords being repeated. Maybe I can change that title so it doesn’t seem so spammy. Bob – I’d spend more time getting more links to your site. You need some good links from authority sites and other real estate related sites. Do some article or press release marketing. If this was the main course, I’d have a second for desert. Thank you very much for the lesson about wordpress SEO themes :). Yeah Thesis doesn’t look all that great out of the box. You should do some custom work to it to get it to look the way you want. I’ve recently switched themes (can you tell?) because I was bored with Thesis… and now just waiting to see if my rankings actually change (because you know Thesis is good for SEO). I’ll keep you posted though if I switch back. I have been seeking for nice looking seo themes and I must say this, I like this one. I might have to consider Thesis! It looks perfect for SEO but I’d like to see custom designed theme previews. That would be great. Thesis is good, but not that graphical ! I love awesome wp themes, but must still SEO optimize support. Thank you for such a great review. I have been considering buying this theme for a long time and after reading this post how could I not. I have been trying to optimize my site for a while using plugins etc but I would much rather use all the features you were talking about. What really sold me was the H1 header information. Those headers have been driving me crazy, no longer! Thanks for the great info! Thank you for this great review. I was looking for a SEO ready theme for a new blog which I am planning to launch. I am taking your recommendation and going for the Thesis theme.